Its that time of year again where we relax, celebrate and spend time with family and friends. Restore will continue to trade during the festive season and will only close for the public holidays. 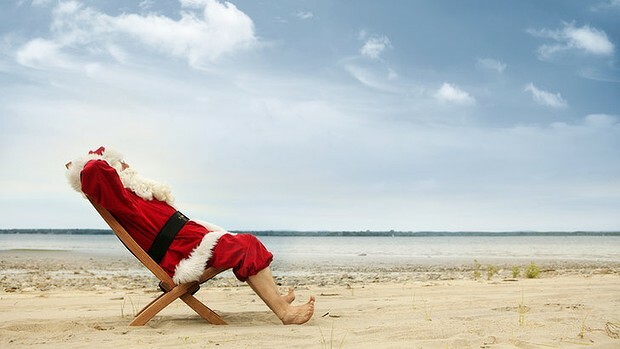 Although some practitioners will be taking holidays during this period, there will always be an osteopath, massage therapist or acupuncturists on deck to help look after you. If you have been too busy to come in and see us all year, now is a great time to give yourself a little TLC. Our receptionists will be on holidays from the 23rd December until the 10th January, so please book online or leave a message at the clinic and someone will get back to you as soon as possible. New research once again supports the efficacy of acupuncture in supporting womens health. Results of a new study conducted into the use of acupuncture to treat period pain have shown dramatic improvements in the duration and severity of pain. 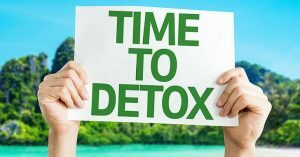 Among the study subjects the majority of women experienced a significant reduction in their symptoms and many felt that the improvements continued on 12 months later. This is good news for the four out of five women who suffer from menstrual pain at some stage during their reproductive years, usually lasting for 2 to 3 days per cycle. In many it is so debilitating it necessitates bedrest, resulting in days off school or work. The pilot study involved 74 women aged 18-45 years with suspected or confirmed period pain. The participants kept a menstrual diary and were given individualised acupuncture treatments, with twelve treatments being performed over three menstrual cycles. 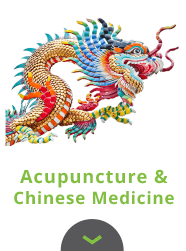 Dr Mike Armour, from the National Institute of Complementary Medicine (NICM) in Australia, who led the study, said the results are promising and that further larger trials may lead to the development of evidence-based guidelines for acupuncture in the treatment of period pain. 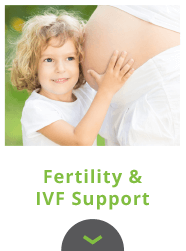 At Restore our practitioners frequently use acupuncture to assist in the regulation of menstrual cycles and to reduce the duration and intensity of period pain for our patients. If you are suffering with menstrual pain, we would encourage you to make an appointment with one of our acupuncturists as they may be able to offer you some significant and lasting relief! Did you realise that there is a strong link between lower back pain and weak glute muscles, or the muscles in your bottom? Your osteopath at Restore can help you to retraining these muscles, and have a positive impact on hard to shift back pain. With a large percentage of our population spending the majority of their day sitting, we are developing what has become known as “sloppy bottom”. A muscle that is continually being placed on stretch becomes harder to activate. At the same time health practitioners are finding a marked correlation between the lack of strength in this glute area and chronic pain in the lower back, hips, knees or ankles. Some of the largest demands on the glute complex is with standing on one leg. Now even though no one spends their day standing on one leg, we all will occasionally run to catch the bus or walk up and down stairs. Others put this demand on repeatedly by running as exercise. These are activities that involve momentarily putting our entire body weight through one leg. If we do this, and the pelvis is not being supported through sufficient glute strength, forces are placed on muscles and joints which aren’t designed to tolerate this load. The brain develops compensations, and without sufficient glute strength present, it will delegate their roles to other muscles. Depending on how well the body copes with these developed muscle recruitment patterns, is determine by whether compensation will break down and result in pain. However usually it’s these “easy” options or secondary muscle recruitments which are the cause of lower back pain that we see in our clinic. The second problem with prolonged sitting, our patients come in with tight hip flexors as a result of positional shortening from the body becoming used to a prolonged posture. When a muscle is tight and short it has a lower activation threshold, meaning this muscle will activate before any other. Those of us who a relatively active may experience an increased activation of the quadriceps for example, and in others the hamstrings or muscles of the lower back due to the tightness in these areas. So how do we solve this problem? Simply performing glute muscle exercises is not necessarily the answer, as the brain is already used to recruiting other muscles to the task. In fact, the first step must be to identify whether the glutes are tight and inhibited or in fact underdeveloped. Reprogramming the brain to utilise these muscles does take time as you have to strengthen the connection between the brain and the muscle. 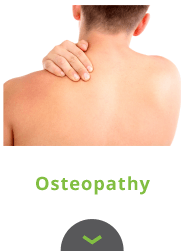 In osteopathy we use hands on manipulation to loosen and calm down the overused muscle, encourage recruitment of weak muscle, and use muscle resistance work to strengthen the muscle in a controlled way. This speeds up the process of retraining the brain, as well as reducing the chase of injury to the lower back and pelvis. As the control center of your body, the brain is in charge of keeping your heart beating, lungs breathing and allowing you to move, feel and think. That is why it is essential to keep your brain in peak working condition. The foods you eat play a role in keeping your brain healthy and can improve specific mental tasks, such as memory and concentration. Here is a list of foods that enhance your brain function. When people talk about brain foods, fatty fish is usually at the top of the list. This type of fish includes salmon, trout and sardines, which are all rich sources of omega-3 fatty acids. About 60% of your brain is made of fat, and half of that fat is the omega-3 kind. Your brain uses omega-3s to build brain and nerve cells, and these fats are essential for learning and memory. Omega 3-s may also slow age-related mental decline and help ward off Alzheimer’s disease. On the flip side, not getting enough omega-3s is linked to learning impairments, as well as depression. One study found that people who ate baked or broiled fish regularly had more gray matter in their brains. Gray matter contains most of the nerve cells that control decision making, memory and emotion. If you are a coffee fan you’ll be glad to hear that it’s good for you. Two main components in coffee — caffeine and antioxidants — are terrific for brain health. The caffeine in coffee has a number of positive effects on the brain, including increased alertness, improved mood and sharpened concentration. Caffeine keeps your brain alert by blocking adenosine, a chemical messenger that makes you sleepy. Drinking coffee over the long term is also linked to a reduced risk of neurological diseases, such as Parkinson’s and Alzheimer’s. This could at least be partly due to coffee’s high concentration of antioxidants. Blueberries provide numerous health benefits including some that are specifically for your brain. Blueberries and other deeply colored berries deliver anthocyanins, a group of plant compounds with anti-inflammatory and antioxidant effects. Antioxidants act against both oxidative stress and inflammation, conditions that may contribute to brain aging and neurodegenerative diseases. Some of the antioxidants in blueberries have been found to accumulate in the brain and help improve communication between brain cells. Animal studies have shown that blueberries help improve memory and may even delay short-term memory loss. Broccoli is packed with powerful plant compounds, including antioxidants and vitaminK. This fat-soluble vitamin is essential for forming sphingolipids, a type of fat that’s densely packed into brain cells. A few studies in older adults have linked a higher vitamin K intake to better memory. Beyond vitamin K, broccoli contains a number of compounds that give it anti-inflammatory and antioxidant effects, which may help protect the brain against damage. Zinc: This element is crucial for nerve signaling. Zinc deficiency has been linked to many neurological conditions, including Alzheimer’s disease, depression and Parkinson’s disease. Magnesium: Magnesium is essential for learning and memory. Low magnesium levels are linked to many neurological diseases, including migraines, depression and epilepsy. Copper: Your brain uses copper to help control nerve signals. And when copper levels are out of whack, there’s a higher risk of neurodegenerative disorders, such as Alzheimer’s. Dark chocolate and cocoa powder are packed with brain-boosting compounds, including flavonoids, caffeine and antioxidants. Flavonoids are a group of antioxidant plant compounds. The flavonoids in chocolate gather in the areas of the brain that deal with learning and memory. Researchers say these compounds may enhance memory and also help slow down age-related mental decline. In one study including over 900 people, those who ate chocolate more frequently performed better in a series of mental tasks, including some involving memory, than those who rarely ate it. A 2014 review showed that nuts can improve cognition and even help prevent neurodegenerative diseases. Also, another large study found that women who ate nuts regularly over the course of several years had a sharper memory, compared to those who didn’t eat nuts. Several nutrients in nuts, such as healthy fats, antioxidants and vitamin E, may explain their brain-health benefits. Vitamin E shields cell membranes from free radical damage, helping slow mental decline. While all nuts are good for your brain, walnuts may have an extra edge, since they also deliver omega-3 fatty acids. Eggs are a good source of several nutrients tied to brain health, including vitamins B6 and B12, folate and choline. Choline is an important micronutrient that your body uses to create acetylcholine, a neurotransmitter that helps regulate mood and memory. Research has shown that higher intakes of choline are linked to better memory and mental function. Furthermore, the B vitamins have several roles in brain health. 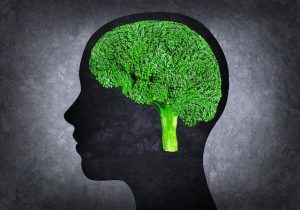 They may help slow the progression of mental decline in the elderly, and being deficient in two types of B vitamins — folate and B12 — has been linked to depression. Folate deficiency is common in elderly people with dementia, and studies show that folic acid supplements can help minimize age-related mental decline. As is the case with coffee, the caffeine in green tea boosts brain function, improving alertness, performance, memory and focus. But green tea also has other components that make it a brain-healthy beverage. One of them is L-theanine, an amino acid that can cross the blood-brain barrier and increase the activity of the neurotransmitter GABA, which helps reduce anxiety and makes you feel more relaxed. L-theanine also increases the frequency of alpha waves in the brain, which helps you relax without making you feel tired. It’s also rich in polyphenols and antioxidants that may protect the brain from mental decline and reduce the risk of Alzheimer’s and Parkinson’s. So do your brain a favour and add these 10 foods to your diet for a boost of nutritional support!